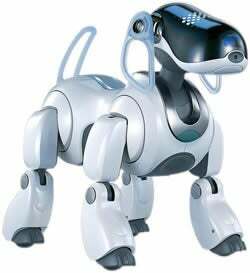 "The engineers behind the Aibo are doing the PS3. We are talking about making something like the new Aibo." I ask if it will connect to the PS3. Because that's what I really want: A robotic dog for my PS3. "I don't know. Connection is not hard. I'm sure some engineer could do that."